Joanna is an expert on understanding how the different laws and regulations in the car insurance industry shape the way that policies work. There are a ton of different scenarios that can involve a car. Therefore, it’s no surprise that there are a ton of different car insurance scenarios. These different situations can be confusing to people. That’s too bad, as insurance is already confusing enough as it is! That’s why we put together this article and FAQ. It will help you understand your options for car insurance in difference scenarios. 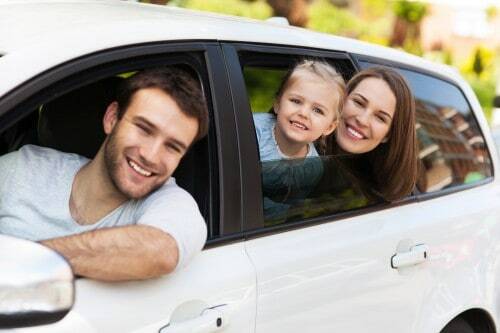 We’ll help you understand how car insurance works and explain the different types of coverage. Then we’ll go through some of the more common scenarios you might find yourself in. Finally, we have an FAQ to answer your questions about different car insurance scenarios. Use this article to get a better understanding of your car insurance options and stay protected. How to Insure a Car? How Much Does It Cost to Insure a Car? Do You have to Insure Your Car? How to Insure a Car in Another State? Can You Self-Insure Your Car? What Documents Do I Need to Insure My Car? Can I Insure More than One Car? How Much Should I Insure My Car For? Is a Red Car More Expensive to Insure? When Do You Have to Insure a New Car? How Long Do I have to Insure My New Car? Does an Older Car Cost more to Insure? Do You Need to Insure a Car Before Buying It? How to Insure a Modified Car? Does It Cost More to Insure a New Car? Can You Insure a Hail Damaged Car? Is It Cheaper to Insure an Electric Car? Is a 3-Door Car Cheaper to Insure? Is It More Expensive to Insure an Electric Car? Is a Newer Car Cheaper to Insure? Is a 2-Door Car More Expensive to Insure? What Color Car Cost Less to Insure? Does It Cost More to Insure a Leased Car? Can You Insure a Car Without a Driver’s License? Can You Insure a Car on a Provisional License? What is the Best Car for Young Male Driver to Insure? Can I Insure a Car with a Learners Permit? What is the Least Expensive Car to Insure for a Teenager? Can I Insure Myself to Drive Someone Else’s Car? What is the Best Car for a New Driver to Insure? How Do I Insure My Rental Car? Can You Insure a Car You Don’t Own? Can I Insure a Car I Don’t Own? Can You Insure a Car that’s Not in Your Name? Can Someone Else Insure My Financed Car? Can You Insure Someone Else’s Car? If I Buy a Car, Can My Parents Insure It? How to Insure Myself to Drive Any Car? Can You Insure a Totaled Car? How to Insure a Car with a Rebuilt Title? How to Insure a Car with No Title? Will USAA Insure a Salvage Car? Is It Illegal to Double Insure a Car? Can I Insure My Car at My Parents Address? How to Insure a Company Car? Can You Insure a Car Twice? Can You Insure a Car for 1 Month? Can You Insure Your Car at a Different Address? Can I Insure My Car with a Foreign Company? Before we can talk about different scenarios that you’ll need car insurance, it’s essential to understand the different types of insurance that companies offer. Broadly speaking, there are two major types of car insurance, liability coverage and comprehensive coverage. The first major type of car insurance is liability coverage. Liability coverage is the minimum coverage you need to have to legally drive. Each state has their own limits of minimum liability coverage to legally drive. Your insurance company will help you make sure your coverage meets the legal minimum. Liability coverage covers the damage to other people’s persons and property if you get into an accident and you’re at fault. It doesn’t coverage damage to your own vehicle. Therefore, it’s only a good option for when you own your car outright. However, if you owe money on your car, then you probably can’t get just liability coverage. Your auto lender will probably demand that you get comprehensive coverage as part of your loan. Comprehensive coverage covers damage to other’s persons and property and also covers the cost of repairs or replacement for your own vehicle. You’ll need comprehensive coverage if you’re financing your car, as your auto lender will want to make sure you’re covered should the worst happen. Comprehensive coverage usually comes with extras, like paying for a rental car while your car is in the shop, more coverage than the legal minimum, and other features. This type of coverage is usually more expensive than just getting liability coverage. There are several different car insurance scenarios you might encounter. We’ll cover those in this section. Lots of people want to know about insuring a car that you don’t own. You can do this. It’s called a non-owner policy. However, some car companies won’t offer this type of policy. Your best option in this situation is to just pay for someone else’s insurance. That’s because you’ll have to tell the insurance company who the primary driver of the car will be. That makes any possible benefit of insuring someone else’s car moot, as you can’t get your rate for their driving. Another common insurance situation is getting insurance for rental cars. However, your primary insurance should cover your car rental. Additionally, you can usually get coverage from your credit card and from the company that you’re renting the car from. There are also insurance options for people with salvage titles or that don’t have the title to their car yet. These policies will get you covered, but they may not offer the same benefits as you’d get on a standard title. Specifically, cars that have a salvage title may only be able to get liability coverage. Even if you get comprehensive coverage, you should expect that you’ll only get 80% of the market value of your car because you have a salvage title. Another common insurance scenario is people that keep their car at a place that is different from where your insurance is registered. This includes people that are transient as well as students. You’ll need to explain your situation to your insurance company. They’ll be able to work out a fair rate given your particular circumstances. Another situation that comes up is people that want car insurance but don’t actually own a car. A non-owner policy is a great solution here. It covers your liability for anything over the damages that the car owner’s insurance covers. This is a good option if you’re between cars or have a driver’s license but live in an area where owning a car doesn’t make financial sense. 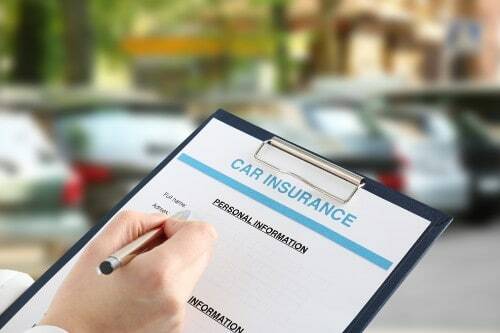 Now that you’ve got a good idea of the different kinds of car insurance and some of the scenarios where you might need insurance, you need to pick the right car insurance option for you. Check your financial situation and evaluate how much you drive. Consider what kind of damages you can afford to cover and then review your different insurance options. Pick the option that best matches your particular situation. You’ll be driving safe and protected in no time. This section answers general questions about car insurance. Use this information to get a better idea of how insurance works so you can better understand the answers to more specific questions. You can insure a car by signing up with a car insurance company. You’ll need to select the right kind of policy for your car and keep an eye on how much that policy will cost. The article above goes over the different types of coverage. That depends on a lot of factors. Your age, car, state, driving record, gender, past insurance payment history, type of coverage, and more can all influence how much it costs to insure a car. Yes. Every state requires that your car have a minimum amount of insurance. The minimum required insurance can change from state to state. However, you are always required to have, at the very least, liability insurance. This ensures that damage to people or property will be covered if you’re in an accident. In most cases, you can’t. Most states and insurance companies require a car to be insured in the state where it’s registered. However, insurance companies will have special programs for rare situations, like a student taking a car to school in another state or drivers that are in the military. In many states, yes. You’ll need to purchase a surety bond or make a deposit with the state DMV or state department of insurance. You’ll need to deposit at least the minimum legally required coverage for your state in order to self-insure. You’ll need your driver’s license, car insurance policy, car VIN number, and any paperwork that verifies you qualify for discount programs. For example, report cards for a good grades discount. Yes, you can insure as many cars as you want. If you want to insure multiple cars, then you should talk to your insurance company. Many companies will be willing to give you a discount if you insure multiple vehicles with them. That depends on your needs and your state’s legal minimums. At the very least, you’ll need to get liability coverage for your state’s minimum. If you’re financing your car then you’ll also need to pay for comprehensive coverage to abide by the terms of your loan agreement. This section answers your questions about insuring different types of cars. Use this information to help you pick a car with the most affordable insurance. No, that’s actually an urban myth. Insurance companies don’t charge more for insurance based on the color of your car. They also don’t charge more for cars based on the number of doors the car has. Depending on your state and insurance policy, you usually have 7 to 30 days to notify your insurance company that you’ve switched cars. However, it’s best to call immediately to add coverage to your vehicle to ensure that it’s protected from the moment you drive off the lot. You’ll usually have somewhere between 7 to 30 days to insure your new car. Your dealership may be able to provide temporary coverage while you shop for the best price. However, it’s always best to insure your car as soon as possible so that it’s protected and you don’t have to deal with any headaches should you be in an accident shortly after buying the car. Generally no. Older cars are usually cheaper to insure than a newer car. However, the make and model of the car can influence that. In fact, make and model have a much higher influence than the age of the car. That’s because the make and model of the car influence more of the factors that insurance companies look at when they’re setting the price of insurance. No. However, you should promptly tell your insurance company that you’ve purchased a new car. That way you can be confident your car is covered. Otherwise you may find yourself out a substantial amount of money or facing car payments for a car that no longer runs. You need to find an insurer that works in your state that covers modifications. Esurance is very good about covering modified cars and they are available in all states. You’ll also have other options depending on what kind of modifications your car has. Each insurance company has a list of what modifications they will and won’t cover. Usually, as new cars cost more and thus the risk to the insurance company is greater. However, the make and model of your car will be far more important to the cost of insurance than the age of the car. The make and model influence how fast, safe, and prone to theft the car is, which is what insurance companies care more about. Most insurance companies will require that you get the damage repaired before you can get comprehensive coverage on a hail-damaged car. That’s because it protects them from fraud, so you can’t get into an accident and claim that the hail damage was the result of an accident and get the insurance company to pay for it. Insurance quotes for electric cars are usually about 21% higher than for an equivalent gas-powered cars. That’s because repairs on electric cars are more expensive. They have complex battery systems and require specially trained mechanics to fix. No, the idea that an insurance company charges based on the number of doors is a myth. Cars with fewer doors are also usually lighter and have more powerful engines. Those two factors cause the price of insurance to go up, not the number of doors. That means a 3-door car isn’t any cheaper or more expensive to insure. It is more expensive to insure an electric car. On average, electric cars cost 21% more to insure. That’s because of the expensive repairs they require. The battery packs in an electric car and other systems are very complex. They also require specially trained mechanics to fix. Not usually. But everything depends on the make and the model of the car. Newer cars that are safer and slower will still cost less than older cars that are faster and less safe. These factors affect insurance pricing far more than the age of the car. Sometimes, but not because of the doors. 2-door cars are more likely to be sportier. That means they’re less safe and will cost more to repair. As a result, the insurance price will be higher. However, there’s no difference between a 4-door Beatle, for example, or a 2-door Beatle. Any color of car will cost the same to insure as a car of the same make and model in a different color. Color can affect the resale value of the car, but it doesn’t alter the insurance coverage. It’s a common myth that cars of certain colors are more expensive to insure. Yes, leased cars require more insurance coverage because you need to get a comprehensive policy. They also require higher limits on the insurance payout. As a result, leased cars will cost more to insure than a card you own. This section covers questions about insuring cars for different drivers. Use this information to find the best insurance option for you. Usually not, but there are exceptions. You’ll need to clarify who the primary driver will be so that your insurance company can factor their driving record into their calculations for the cost of your insurance. However, many companies will be unwilling to insure a car without a license because they use license verification to protect against fraud. Yes. However, your premiums will be much lower if you have an older driver as the named driver on your policy. It’s better to get covered under someone else’s policy instead of paying for your own policy if you’ve got a provisional license. The best cars for young male drivers to insure are the practical, safe options. A Honda Civic or Accord, Mazda 3, Toyota Prius, Ford Fusion, Mazda 6, or Nissan Rogue are all excellent options. These cars are safe and not powerful enough to really ratchet up the premiums. You can, but you should expect to pay a pretty steep premium. Driving experience is one of the factors that insurance companies use to set their prices. The longer your driving history, the more accurate insurance predictions about your risk can be. A lack of history means you’re an unknown quantity, so insurance companies will assume the worst until you prove them wrong. The least expensive cars to insure for a teenager are the small, safe, practical options. Cars like big SUV’s or fast sports cars will be much more expensive. Honda Civics, Honda Accords, Subaru Outbacks, Nissan Rogues, and similar cars will be the cheapest cars to insure. Yes, it’s called a non-owner insurance policy. The owners policy should cover you when you’re driving someone else’s car if you only borrow it occasionally with the owners permission. However, you’re on the hook for damages that surpass the owner’s liability coverage. A non-owner policy can help you make sure you’re protected. The best car for a new driver to insure are small, safe, and practical. Fast and expensive cars will cost much more than a safer practical sedan-type car for insurance. This section answers your questions about insuring cars under different ownership scenarios. Use this information to understand what cars you can insure and who can insure cars you own. You can get rental car insurance from the company you’re renting a car from. You can also get rental car insurance from your credit card if you meet their requirements. Also, your primary car insurance will usually cover you in rental car situations. You should check your primary car insurance policy to be certain you’re covered though. Yes, but you’ll need to tell the insurance company that. Some companies may not offer non-owner policies. Any company that does will need to know who the primary driver of the car will be so they can properly set insurance rates. Yes, however it might be difficult. Some insurance companies won’t allow this. Any company that lets you insure a car you don’t own will want to know who owns the car and who the primary driver of the car is before they quote you a price. You can, but it can be a challenge. You’ll need to explain the situation to the insurance company. The company will want to know who owns the car and who the primary driver will be. This helps them prevent fraud and stay within state and federal laws. It’s also essential to them setting an appropriate insurance rate. They can in most cases, but it can be difficult. The other person can buy the insurance policy, but they’ll have to tell the company that you’re the owner and will be the primary driver. Some companies may not be willing to do this. However, many will. The problem may come from your lender. Many lenders won’t accept someone else’s policy on your car as proof of insurance. You can, but insurance companies aren’t a fan of this happening. That’s because they check driver’s licenses against registrations to make sure that the information they’re using is accurate. You’ll need to get information from the registered owner and the primary driver to execute this transaction. That depends on your parent’s insurance policy. Usually insurance companies prefer the registered owner of the car to have insurance in their own name. However, many insurance companies have policies in place that take the special relationship between a parent and minor child into account for insurance purposes. You can. It’s called a non-owner car insurance policy. This covers you for liability no matter what car you’re driving. It’s a good option if you’re between cars and frequently borrow cars from multiple other people. Normally, their insurance will cover your occasional use, but a non-owner policy allows you to be sure. There are lots of different types of titles on cars. These different titles can influence your insurance. This section answers questions about insuring cars with non-standard titles. Yes, but there are some limitations. First, you might only be able to get liability coverage, not comprehensive coverage for salvage title cars. You also shouldn’t expect to get your market value if you do get comprehensive coverage. Most companies will only pay up to 80% of the market value on salvage titles. You can. This is known as a salvage title. Many companies will offer insurance on salvage title cars. However, you may be limited in the types of insurance coverage you can get and what kind of payout you can get if you get comprehensive insurance. You’ll need to contact different insurance companies to see if they offer insurance on salvage titles. Most companies will at least offer the legal minimum liability insurance on these cars. However, many of them will stipulate that they won’t pay the full market value on a comprehensive policy for a salvage title car. It can be difficult to insure a car with no title, but it’s not impossible. Many insurance companies will accept other types of proof of ownership for the car. You can usually get 15-30 days to give proof of ownership to the insurance company. Yes, USAA will insure a salvage car. However, the salvage title won’t affect your premium but it may affect the repayment amounts that you’re entitled to should the car get totaled. There are lots of other car insurance scenarios. This section covers scenarios that don’t fit into our other sections. It’s not illegal to have two different insurance policies on one vehicle. However, it may be against the terms of your insurance contract. You’ll need to check with your insurance companies for more information. If you live with your parents or are a student who comes home on vacations, then yes, you can insure your car at your parent’s address. But you’ll need to call your insurance company and explain the situation to them. If your company owns your car, then their insurance should cover it. 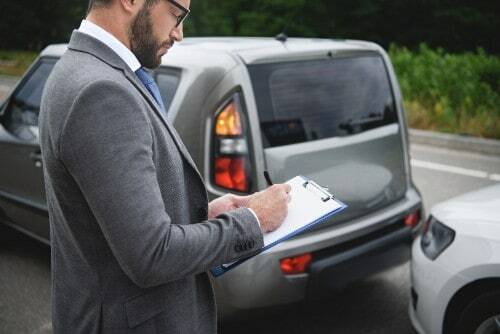 If you’re a small business owner with no employees and claim your car as a business asset, then a personal insurance policy will cover your vehicle. You can sometimes. However, many car insurance companies have aspects of their contract that void the insurance if you try to insure with two companies or if you file a claim with two companies for the same accident or damage. Yes. This is called temporary car insurance. You can get coverage for one day up to 28 days. However, most of the major insurance companies won’t offer temporary coverage, so you might have to go with a less-well-known provider. Sometimes in special circumstances, like students or people in the military. However, insuring your car at an address you don’t live will likely void your policy if the insurance company finds out. Not usually. State law usually requires that you insure your car with a company based in the US. That’s because each state has different rules so each company has to show the state they understand and comply with those rules.